The world of consumer technology is always an interesting and extremely varied landscape at the best of times, but it can’t really hold a candle to the ongoing political debacle that is the current Presidential campaign being waged on the American public, and in some cases, the on-looking global public, by Hilary Clinton and Donald Trump. While always interesting to watch, technology fans, and specifically Apple lovers, will be interested to learn that leaked emails point to the fact that Apple CEO Tim Cook was considered to be a Vice President candidate by Hilary Clinton’s campaign Chairman, John Podesta. The topic of leaked emails has been an ongoing discussion point during this Presidential campaign, but it’s the tech-related content which has recently surfaced that has piqued the interest of those with a passion for consumer tech, and for the future of Apple. One series of hacked/leaked emails, which has been published on WikiLeaks, contains what appears to be a first cut of Vice President candidates, and not only includes Apple CEO Tim Cook as notable consideration, but also a number of other extremely popular tech figureheads and business leaders, one of them being Microsoft co-founder Bill Gates. Tim Cook may be enjoying a career as the extremely successful CEO of the world’s richest company, but as is the case with most people in his stature, there are definite undertones of political interest. He has previously arranged a fundraiser for Hilary Clinton’s campaign and has also worked closely with Republican Speaker of the House, Paul Ryan. 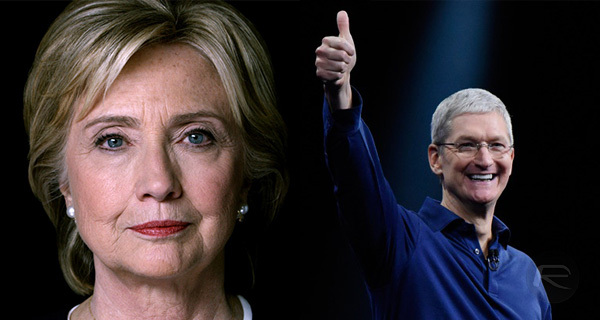 While it may make perfect sense for Clinton’s campaign to consider someone as prominent and influential as Apple’s Tim Cook, it would remain to be seen if he would even consider, or be remotely interested, in having that type of position. Given how closely big business and politics in the United States are interwoven, it’s very likely that someone like Tim Cook could have a future career in politics when his Apple journey ends. Apparently Tim Cook wax going to change to White House the Jet black. The new president would have been 40% more efficient than the last model and the front door replaced with a touch panel because…. He can. Apparently Tim Cook was going to change to White House to Jet black. The new president would have been 40% more efficient than the last model and the front door replaced with a touch panel because…. He can. Easier access to put backdoors into IOS. But would you rather have Donald trump and an android phone? GAL / 8 posts prior to this one & 4 of them are you. Well, that’s a pretty long list with Tim Cook in a long list within a sub group of said list. Well Bernie has fuckall to do with technology, and Bill Gates has fuckall to do with consumer electronics at this point.